Available in 0mg, 6mg (0.6%), 12mg (1.2%), 18mg (1.8%) and 24mg (2.4%) nicotine. A tempting blend of tobacco sweetness and icy menthol, V2 Bold Leaf Menthol vape juice is satisfying and refreshing in equal measure. Crisp and cooling menthol layered over tobacco notes, Bold Leaf Menthol is a great choice for menthol or tobacco vape lovers looking for something slightly different. 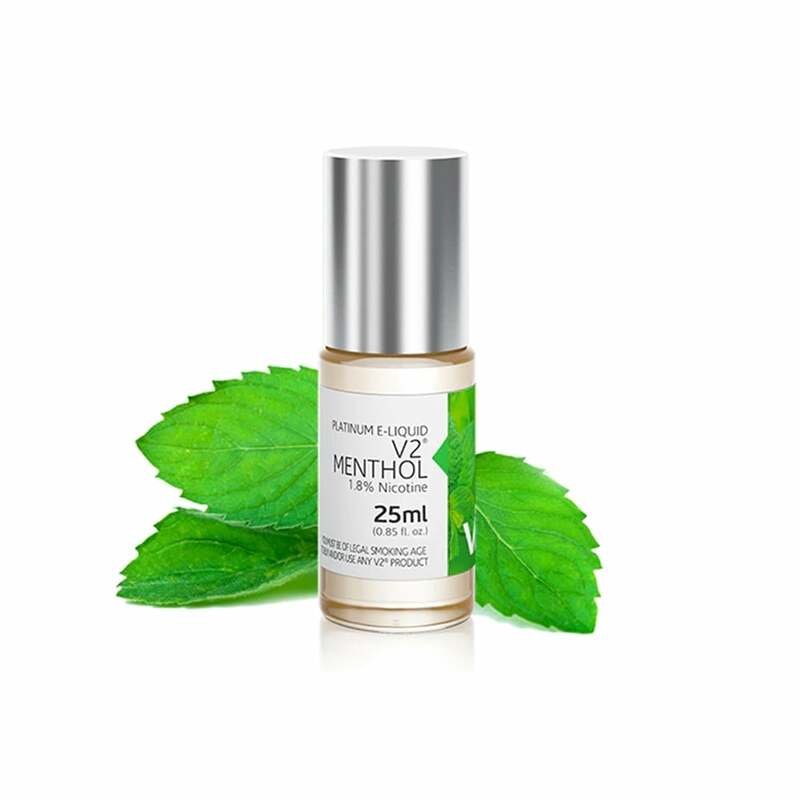 V2 Bold Leaf Menthol e-liquid comes in 25ml bottles and is available in a range of nicotine strengths.